With over 250 known species , Alternaria molds are extremely common and widespread. The spores are found in high concentrations during dry, windy conditions, which make them extremely airborne. As such, susceptible individuals can develop allergies upon exposure to the mold spores. Upon reaching a suitably moist environment, the spores develop into mycelia which can be observed with the naked eye. 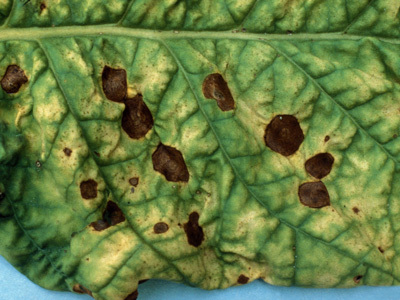 Alternaria is a plant pathogen, infecting more than 4000 species of host plant. They cause significant damage to agricultural products, including grains, fruits and vegetables [1, 2]. In fact, statistics show that at least 20% of lost agricultural yields are due to various Alternaria species, and sometimes, these losses can reach up to 80%. The Alternaria genus contains over 250 known species, including Alternaria alternata (by far the most common species), Alternaria tenuissima, Alternaria infectoria, Alternaria chartarum, Alternaria stemphyloides, Alternaria geophilia, and Alternaria dianthicola. All these species are isolated from infections. The causing agents of other Alternaria species have not yet been specified. 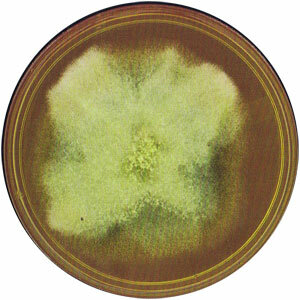 Alternaria molds can grow at a wide range of ambient temperatures (1 – 35°C) and pH levels (2.5 – 10). 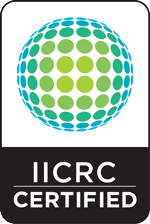 However, growth rates are highest in temperature ranges (20 – 25°C). Alternaria molds grow rapidly and can reach maturity in a period of just 5 days. Just like any other mold, Alternaria thrives in damp and humid areas. Where do Alternaria molds usually grow? Alternaria is typically found outdoors, on dead plant material, cereal grains, grasses and soil. 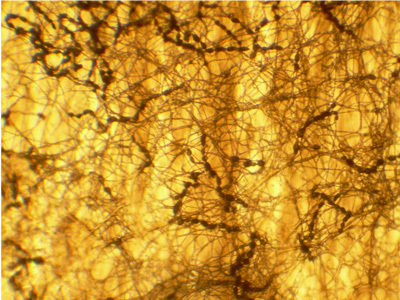 It can grow on a variety of other high-cellulose substrates and needs a certain amount of moisture to develop. Alternaria molds require water activity values above 0.85. The impact of water activity increases with temperature – the same increase in water activity that doubles the growth rate at 10°C will result in a fivefold increase in growth rate at 25°C . Indoors, Alternaria can be found in carpets, wallpaper, textiles, window frames and air conditioning systems. However, Alternaria spores identified indoors often originate from the outdoor environment. What are common types of Alternaria? 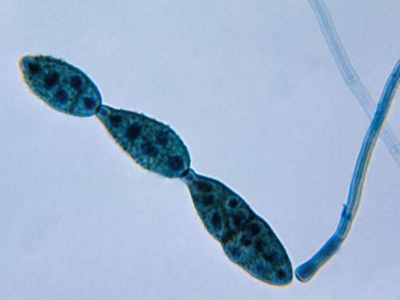 There are two common species of Alternaria mold: Alternaria alternata and Alternaria tenuissima. These molds can commonly be found outdoors but can also be found in buildings like an apartment or house. The mold can grow from spring all through to summer. The mold can grow among other species of mold like Stachybotrys, Phoma and Fusarium. Because it is so common in summer and spring, Alternaria is thought of as a common allergen. Common habitats of Alternaria molds include plants, grass, trees and soil. It is mostly found in areas with temperate climate. In dry seasons and when it is hot and windy, many spores are spread in the air. Indoor molds are caused by spores that manage to enter buildings. 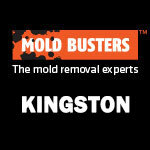 Just like any mold species, it is unsurprising that this mold thrives in humid, damp and dark environments. They commonly grow on food and wood, apart from the Alternaria alternata which can also colonize tiles, bricks, wallpapers, canvas, and iron. What health problems are caused by Alternaria mold? The most vulnerable people to these molds are those with pulmonary diseases, asthma, allergies or even those who have a weak immune system. Alternaria has been associated with the onset of asthma in children [4,5]. Also, high levels of Alternaria contamination in cereal grain have been linked to oesophageal cancer in China . Some symptoms that might occur when exposed to the mold are coughing, runny nose, sore throat, sneezing, throat irritation, headache, fatigue, dizziness, red , itchy and watery eyes, and rashes/itchiness of the skin. When one is exposed to the mold for prolonged periods, it can cause several health issues, especially in the elderly, children and babies. Once you notice any of these symptoms, especially during the summer and spring seasons, you should check for molds because there is a high chance that they are the cause. Always seek medical advice when exposed to molds. Is Alternaria toxic for humans? Many species of Alternaria have been known to cause health problems in humans. They produce mycotoxins that affect the respiratory system, skin and nails. Other species are common allergens that may lead to asthma and hay fever but they rarely cause serious infections in healthy adults. They are of particular risk to immuno-suppressed and wounded individuals. What are the symptoms of an Alternaria allergy? This mold is a major cause of several allergies, mostly during the summer and spring seasons. This is because of a vast presence of allergenic spores in the outdoors. Allergies in many people cause them to have red eyes, runny noses, feel dizzy and sneeze. Similar symptoms occur when someone is exposed to this mold. Where can be Alternaria mold be found in the house? No matter your location or the season you are in, mold spores are airborne and can easily get into your house. This is because they look for a place to multiply and houses provide that humid and warm environment to do so. The bad news is that these molds can settle on your food, clothing, furniture and even the plants or flowers in your house. The mold also grows under carpets and inside the walls as well. They can get in your shower, attic and basement. If your house is humid you are at a higher risk of housing these unwelcomed guests. 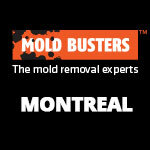 Mold can prove very persistent and difficult to get rid of once it is in your house. 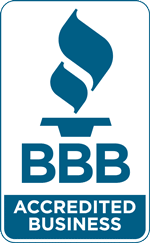 The best option is to call a mold removal company immediately. Do not wait for the mold to grow further because its presence is a significant health risk to you and your family. In order to prevent molds from entering your home, keep doors and windows closed especially in dry, hot and windy weather, and make sure your rain gutters are either repaired or replaced. Check your kitchen and bathroom for leaks, and keep floors dry especially around the washing machine, dishwasher and toilet areas. Reduce the level of humidity in the interior of your home using a dehumidifier. The readings should not go beyond 50%. 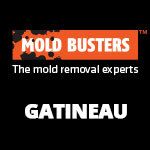 Lastly, clean your basement and bathrooms regularly with products designed to kill molds (fungicides). Avoid putting a carpet in your bathroom. Maintain a good heating system and remove moisture from seats, floors, and walls. How do you detect Alternaria? 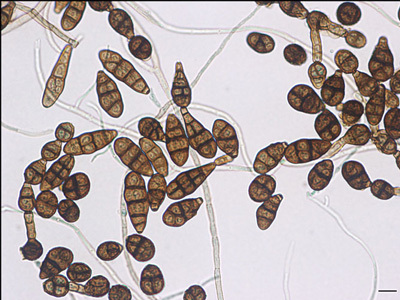 You can identify Alternaria with professional air testing for mold and surface sampling; without such tests and analyses, however, it is difficult to distinguish it from some Ulocladium species (for example, Ulocladium chartarum, which is also very common in indoor environments). How do you remove Alternaria molds? You need to get rid of the Alternaria mold from your home as fast as you can regardless of its kind. Molds may not be a huge health risk initially, but prolonged exposure can have serious consequences, especially in susceptible individuals. Alternaria grows with time, and if not removed can quickly spread throughout your whole house. It is a health hazard to you and your family, but the good news is that it can be prevented. Some people would prefer to treat Alternaria on their own. However, this can prove to be very challenging, as most molds are extremely persistent and difficult to get rid of. 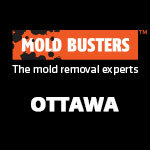 It is largely recommended to call a professional service like Mold Busters to remove the mold. We have 15 years of experience in remediating mold using cutting edge technologies to ensure complete removal of mold from any residential property. Calling in the professionals is definitely the best way of getting rid of Alternaria from your house. Pinto VE, Patriarca A (2017). Alternaria Species and Their Associated Mycotoxins. Methods Mol Biol. ; 1542: 13-32. Lee HB, Patriarca A, Magan N (2015). Alternaria in Food: Ecophysiology, Mycotoxin Production and Toxicology. Mycobiology. 43(2):93-106. Downs SH, Mitakakis TZ, Marks GB, Car NG, Belousova EG, Leuppi JD, Xuan W, Downie SR, Tobias A and Peat JK (2001). Clinical importance of Alternaria exposure in children. Am J Respir Crit Care Med 164: 455-9. Fung F, Tappen D and Wood G (2000) Alternaria-associated asthma. Appl Occup Environ Hyg 15: 924-927. Liu GT, Qian YZ, Zhang P, Dong WH, Qi YM, Guo HT 992). Etiological role of Alternaria alternata in human oesophageal cancer. Chin Med J (Engl);105: 394-400.